Autumn’s must-have print at an under $50 price tag. 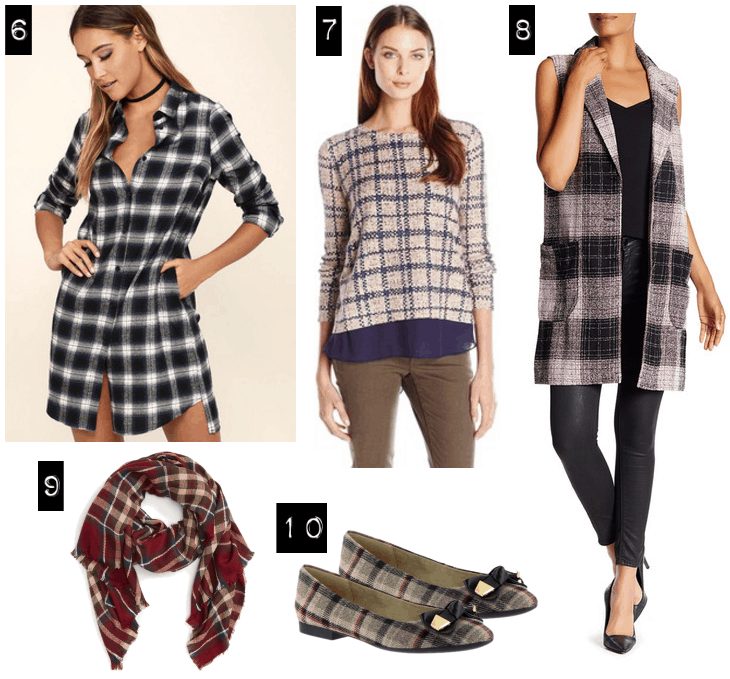 But it’s a classic autumn print for a reason, and today, we’re sharing 10 of our favorite plaid pieces for fall. The best part? Each item rings in at under $50, so you can save some cash for PSLs, Halloween costumes, and apple picking adventures. 1. Wearing this cozy shawl is almost like wrapping a warm blanket around your shoulders — except it looks a lot more chic. 2. These ponte-knit leggings look so much more polished than your typical pair. 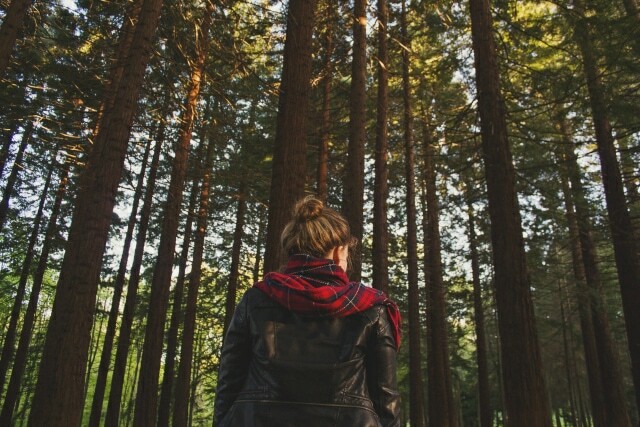 Style them with a longer sweater, flats, and a scarf for the perfect early fall look. 3. A backpack is a must-have when it comes to lugging heavy textbooks back and forth from campus, and this black-and-white plaid version has such a cool, collegiate feel. 4. Can you believe these edgy plaid lace-ups are actually rain boots?! Their durable construction and stylish look will make them your go-to shoes on not-so-sunny days. 5. This cute A-line skirt is made of flannel, so it’s ultra comfy. Wear it with a chunky knit sweater and heeled booties for a look that will take you from classes to a coffee date with ease. 6. Sure, a plaid button-up is a classic, but this shirt dress offers a fresh, feminine take on that look. Throw on a moto jacket and grab a sleek clutch for an autumn-appropriate ensemble fit for a night out with the girls. 7. This pullover sweater gives you a layered look without all that extra bulk. Just pair it with your favorite jeans and boots, then grab your bag and head out the door. 8. Go trendy with outerwear this season, and rock this long bouclé vest. It would look oh-so stylish worn over a sleek turtleneck and skinny jeans combo. 9. Every girl needs to have an oversized scarf in their closet. There are so many ways to wear scarves, and this plaid version will instantly add oomph to even the most “boring” outfits. 10. These preppy, polished flats will definitely put a spring in your step. From the tiny heel to the prim-and-proper bow, we think even Blair Waldorf would be itching to make them a part of her shoe collection. 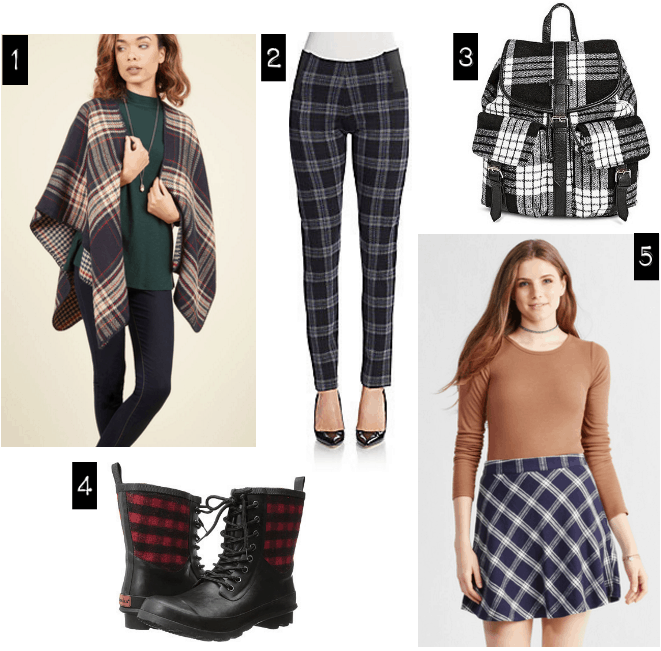 Are you buying any plaid this fall? How do you wear this print? Which item above is your fave? Would you like to see more posts like this? Tell me your thoughts — leave a comment below!